Only 16% of your total fan base will see Facebook posts made from your Facebook Page. So, your timeline graphic and fancy Facebook Apps and Tabs won’t count for anything if you’re not a regular presence in the News Feed of your audience. In order to make your Facebook marketing activities work for you and your Facebook page then you need to understand how the Facebook EdgeRank algorithm works. The Facebook EdgeRank algorithm may seem secretive and incredibly complex, but when you break the algorithm down it’s actually very easy to see what it is you need to do to boost the reach of your posts. Weight – Different types of posts carry different weights. The more weight a post carries the higher the score is at the end of the calculation. The higher the score, the more likely the post is to feature on a reader’s News Feed. Time Decay – The general rule here is the older a post is the lower it’s score will be and the less likely it is to appear in the News Feed. This is to ensure that user’s who login to Facebook everyday are always presented with new content. It is the weight element of the algorithm that often causes the most confusion, as posts have a ‘starting weight’ and the level of interaction per post can be classed as ‘additional weight’. Photos and videos carry the highest starting weight. Next in line are posts that contain links. Finally, text only posts carry the lowest starting weight. The more positive engagement that a post incurs the more weight it carries, and the more likely it is to appear in the News Feed of your fans. Short and Sweet – Treat posts like tweets; keep them short and sweet (between 100 to 250 characters) and they will gain up to 60% more likes, shares and comments. Use Visuals – Photo albums, photos and videos get between 100 – 180% more engagement than links or text only posts. Post Daily – Post content on a regular basis to strengthen the relationships with your regular readers, helping to increase your reach. Relevant Content – Make sure your content is relevant to your reader, but don’t make it all about you. Try Different Times – Find what days and times work best for your posts and stick to posting content around these key times. Previous article: How Do I Get Better At Networking? Before diving deep into the tips to start Facebook pay per click marketing, let me explain where traffic generation stands at the moment from an SEO perspective. As a small business owner, you know that things are tight today and that you need to do whatever it takes to remain a top local business in your particular niche. A great way you can improve the overall performance of your business is by making use of Facebook ad space. Social media plays a major role in helping small business owners promote their brand’s message and connect with their target audience. 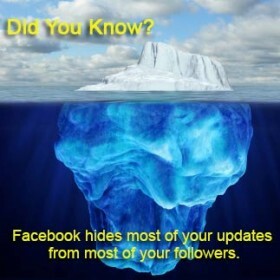 So why not update your business’ Facebook page and give your audience a reason to connect? The vast majority of small businesses and even big companies using Facebook and setting up Facebook pages have been minimally effective. Their pages are mostly the same, with minimal interaction and not a whole lot of added value for the business.